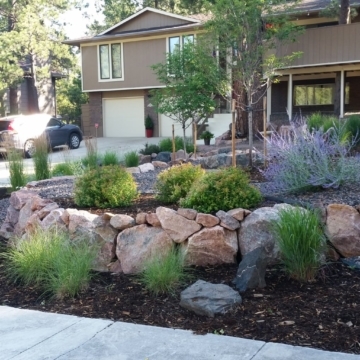 Neighborhoods in the Colorado Springs and Rocky Mountain Front Range areas often have elevation changes, slopes, and grades. 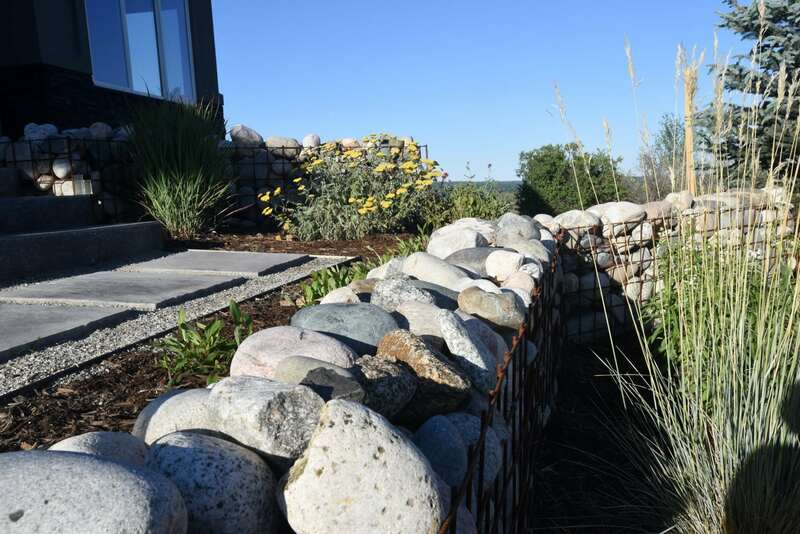 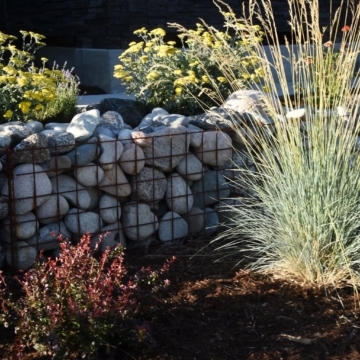 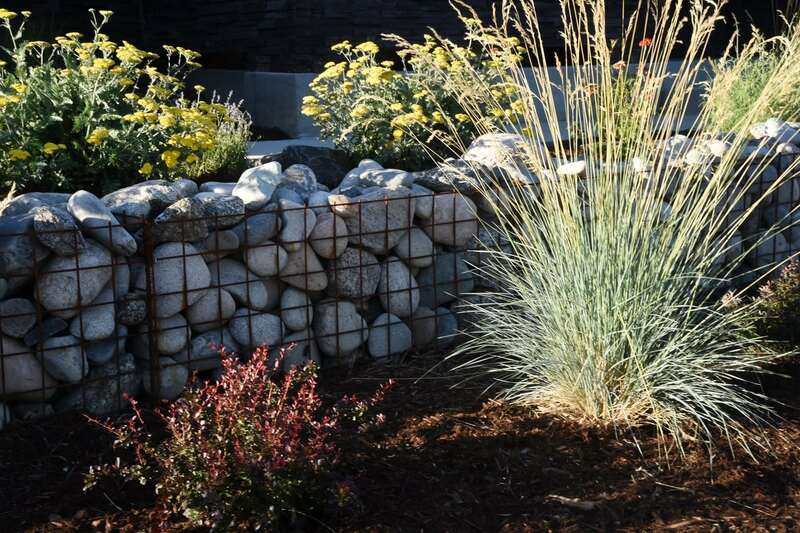 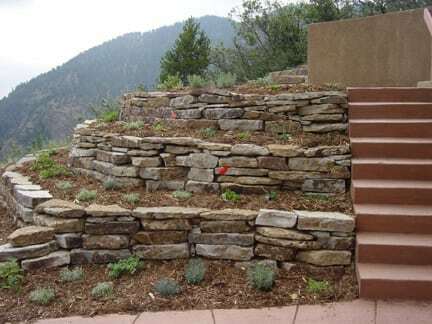 These natural features provide a terrific opportunity to enhance landscape design with the beauty of retaining walls. 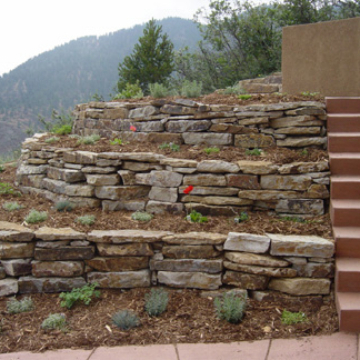 Our team of experts has leveraged stunning elevation changes with modern-day construction techniques that overcome the challenge of drainage and planting on these dramatic spaces. 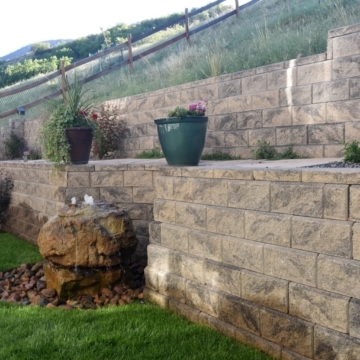 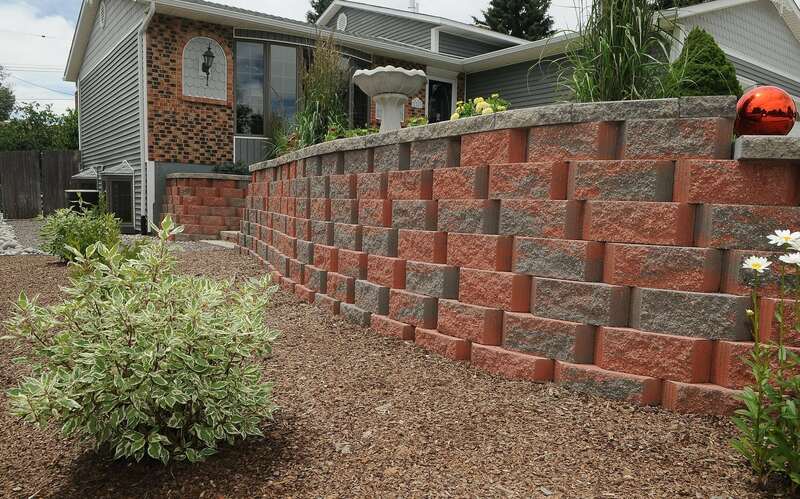 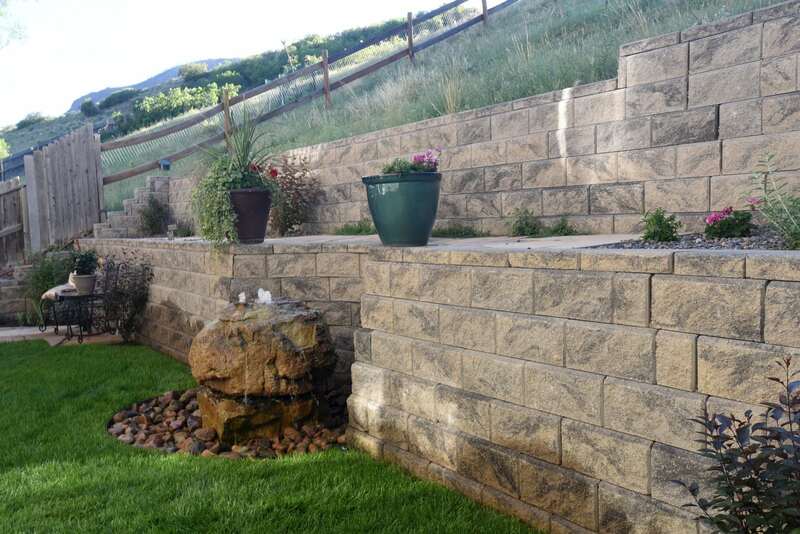 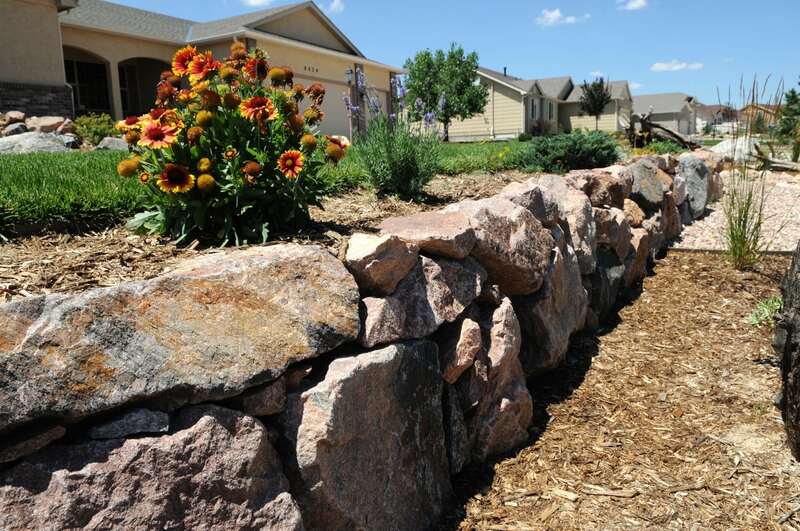 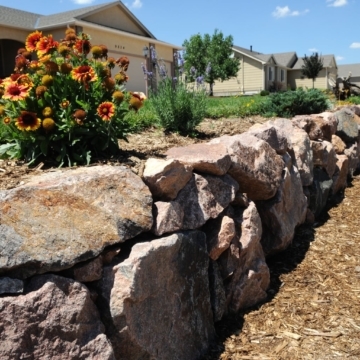 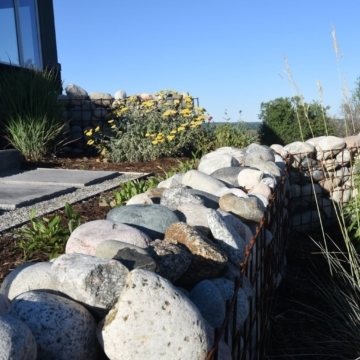 Using breathtaking natural stone and knowledge design, you can expect landscape retaining walls that provide more! 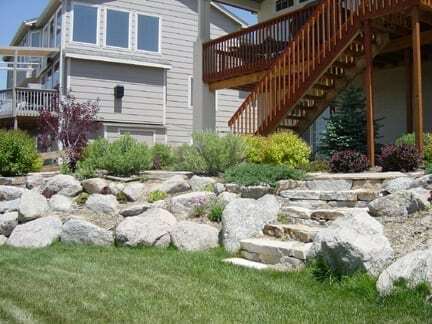 Use of natural stones as decoration; create windows, to hang art or plants. 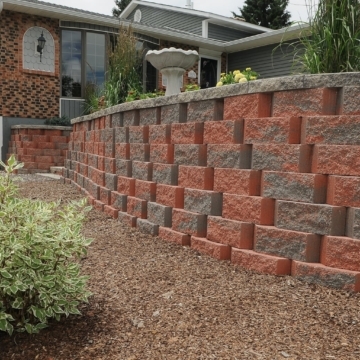 Peek over our walls for retaining wall inspiration! 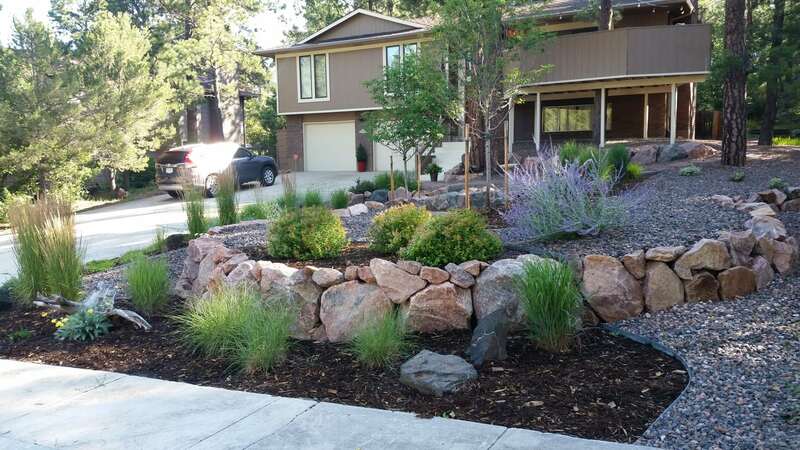 Jake’s Designs has been creating outstanding beauty for homes and residential properties throughout the Colorado Springs area for more than 18 years! 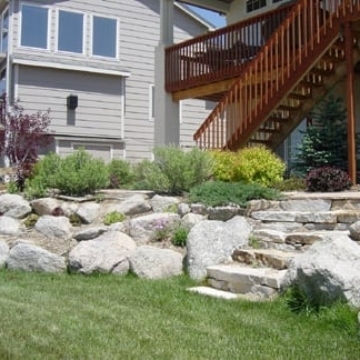 We understand the unique design elements and landscape architecture requirements that go into transforming yards into beautiful, at-home outdoor living environments.